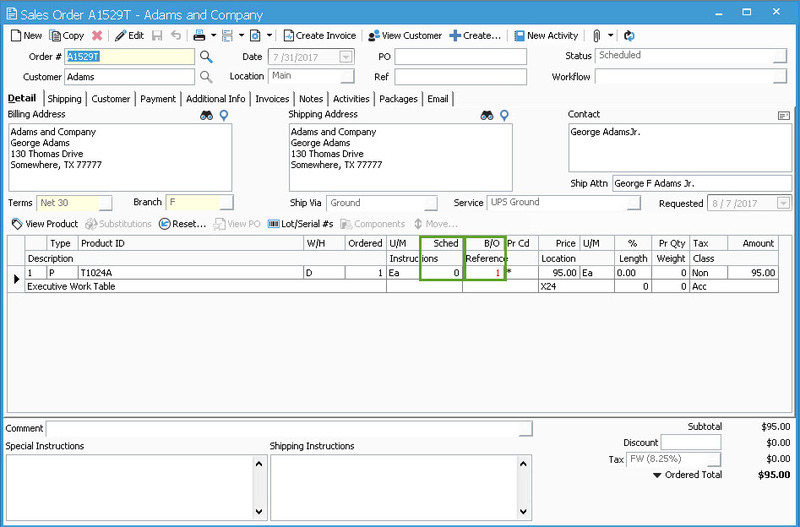 Within 10.3, we’ve added the ability to create assemblies from the Sales Order window. One thing to note when using this feature is that after posting these assemblies that are in reference to the Sales order, the quantity posted will become the scheduled qty and mark the line as scheduled. For example, we set up an order with an assembly item. There is presently no inventory for this product in the system. This in turn causes the line to show a scheduled quantity of 0 and a back ordered quantity of 1. 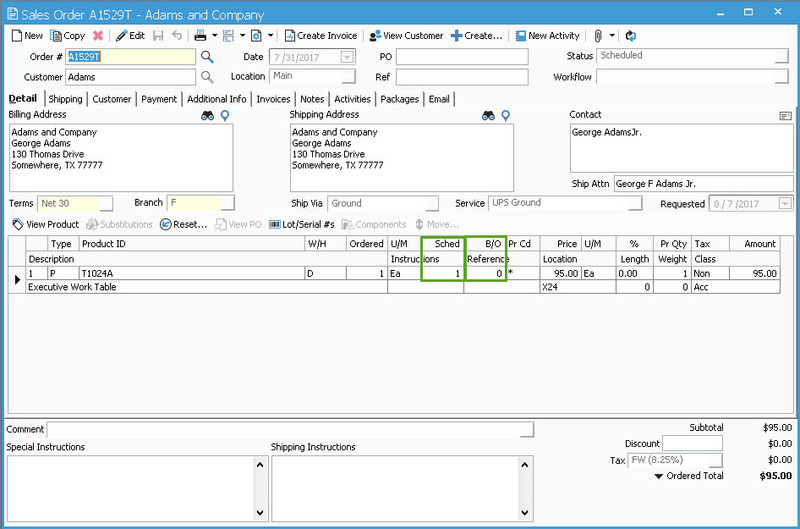 Now, if I create and post an assembly from this sales order (via these steps here), the line will become scheduled and the back ordered quantity will show as 0. This happens automatically after posting the assembly. No changes need to made by the user. The benefit of this is that your data remains robust and accurate. It also leads to easier tracking of assemblies in relation to orders.